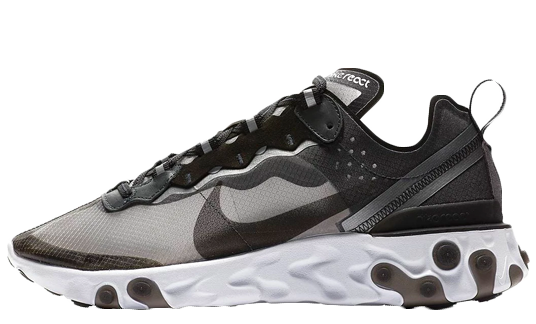 Nike continue their React Element silhouette line with the newest model, the 55. 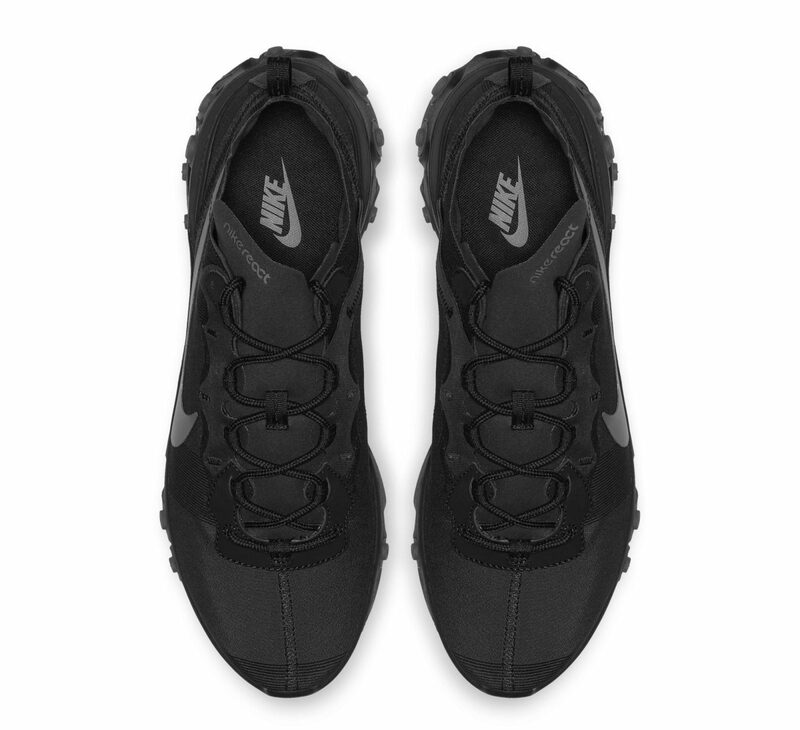 This triple black hue has been unveiled as Nike’s latest colourway, take a look at that sleek silhouette. Dressed in a full black hue with deep charcoal accents, this React Element features an elasticated nylon upper, as opposed to the translucent upper on the previous 87. 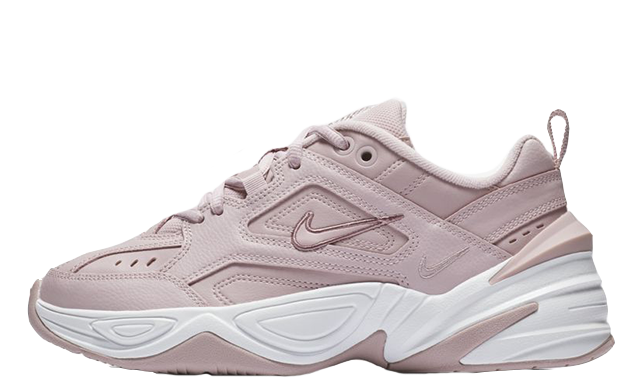 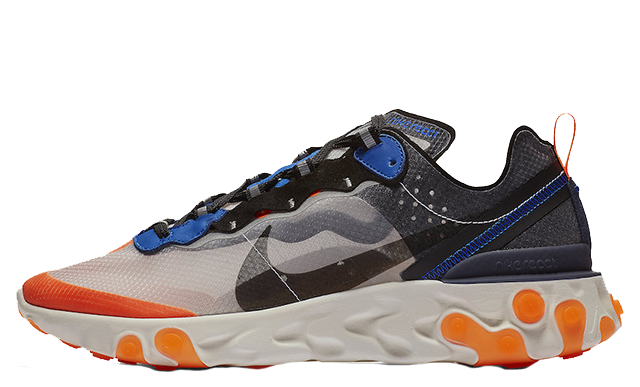 Subtle design features are dotted around this sneaker in the charcoal shade, with a large Swoosh printed to the sidewalls, Nike React branding at the top of the a-symmetrical tongue and a rare vertical Swoosh on the heel. 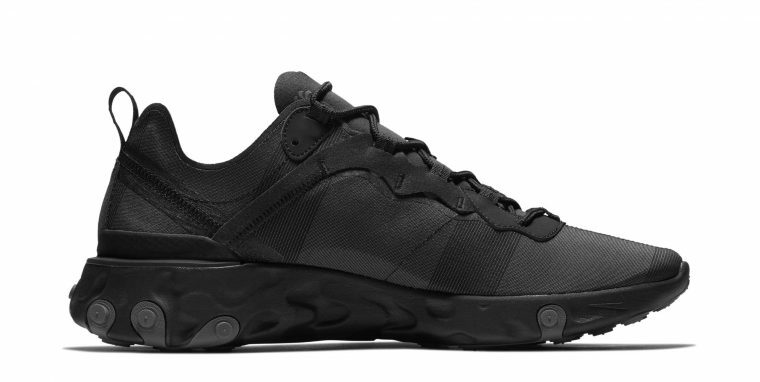 The futuristic midsole features the iconic React notches, creating a contemporary style while adding a bit of height to to the premium sneaker. 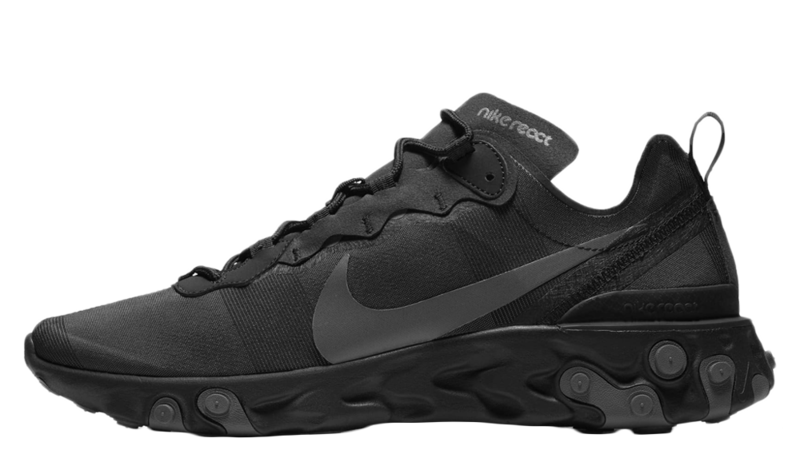 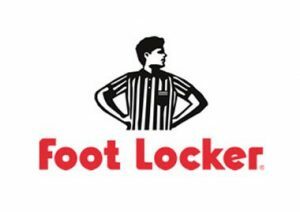 This midsole is created with React technology that gives you responsive cushioning and allows for comfortable all day wear. 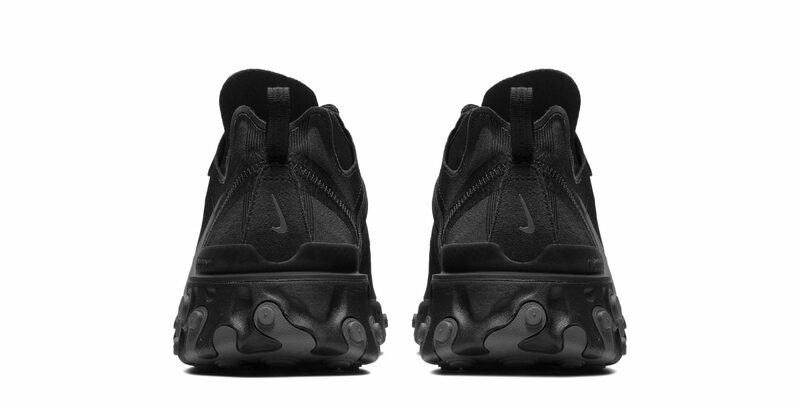 These sneakers have no official release information yet… So, if you are liking the look of these Nike React Element 55 Triple Black, stay tuned to The Sole Womens website and socials for all information as it comes. 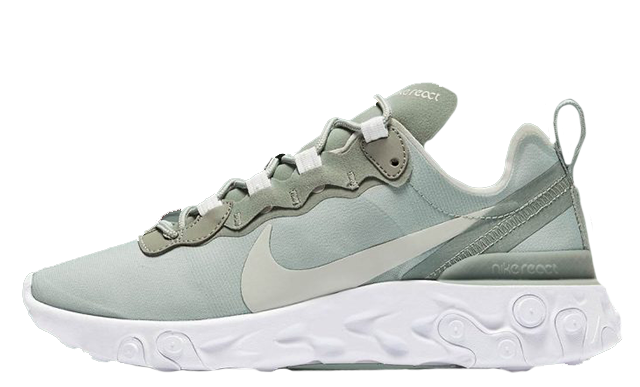 You can find more Women's Nike React Element 55 Trainers Release Dates here!